Is the pedagogy of MOOCs flawed? This is a question that I tackle in my Udemy course The Wide World of MOOCs. Almost immediately after I uploaded this preview to YouTube, someone on Twitter politely challenged me. She took umbrage to my assertion that MOOCs are pedagogically richer than “regular” online courses. 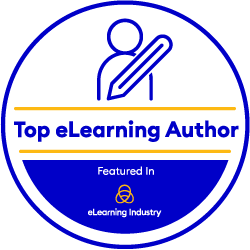 Her counter argument was that the pedagogical devices that I cited – readings, online discussion forums, social media groups and local meetups – are the same learning and teaching functionalities available in any LMS. Right off the bat, I don’t believe that all the pedagogical devices that I cited are available in any LMS. They may be available in many LMSs, but certainly not all of them. Moreover, although an organisation may have a subscription to an LMS that offers these devices, it may not have them activated. 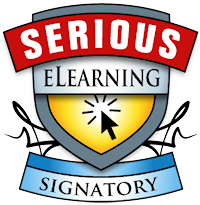 That of course is not to say that the e-learning designer is prevented from using these devices; for example, he or she might leverage other non-LMS technology within the organisation or in the cloud. However, in my experience and in conversations with others, it is clear that they often don’t. 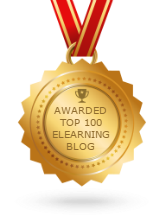 Again, that’s not to say that no e-learning designers integrate devices such as online discussions and social media groups into their LMS-hosted courses, but even if they do, the target audience tends not to play ball. How to encourage active participation on social platforms is a hot topic in the L&D sphere, and there is no easy answer because it’s a question of organisational culture which can’t be “fixed” over night. As for local meetups, in all my years I have never seen this offered in a regular online course! MOOCs, on the other hand, are the polar opposite. 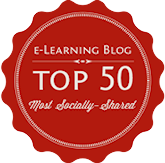 All of the MOOCs I have experienced include readings, online discussion forums, social media groups and local meetups. And the participants do participate. Sure, that’s to be expected given the massive scale of MOOCs, but that doesn’t make it any less true. Case in point, the University of Edinburgh’s E-learning and Digital Cultures MOOC is one of the best online courses I have ever experienced. While it had its fair share of pro’s and cons, it was a hell of a lot richer than the boring page turners that too many among us have learned to associate with “e-learning”. And there was no LMS in sight. There’s a lot of talk about social intranets these days. 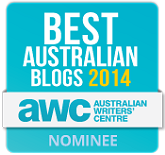 It even threatens to overtake the blogosphere’s current obsession with gamification. But what exactly is a social intranet…? Everyone seems to have a different opinion, from a human-centred platform, to the intersection between portals, team sites and social sites, to a system that ties the business’s processes and data to the employee’s social behaviour. Which one is correct? They all are. You see, a “social intranet” is simply an intranet with social media elements that allow the users to interact with the content and with each other. While everyone’s definition covers this functionality more or less, what is different is the degree of the functionality. So, to introduce a common language and some standardisation to our discourse, I propose the “Social Intranet Index” (SII). 1. An intranet with an SII of 1 is the traditional, old-fashioned broadcast medium. Its content is published by a select few (usually members of the Communications team) and remains read-only for the target audience. 2. An intranet with an SII of 2 accommodates special account holders outside of the golden circle. These are typically highly motivated individuals, because the backend is clunky and illogical. Unfortunately these individuals tend to find themselves in the unenviable position of publishing content for other people, because said people are either too dumb or too lazy to learn how to do it themselves. Strangely, though, they all know how to use Facebook. 3. An intranet with an SII of 3 introduces a star rating or a “like” facility. The target audience can interact (albeit minimally) with the content by judging its quality and relevance. 4. An intranet with an SII of 4 introduces a commenting facility. Beyond a reductionist score, the target audience can now post free-form comments in response to the content. 5. An intranet with an SII of 5 bolts on third-party social applications such as Yammer, Compendium and Confluence. While these apps aren’t components of the enterprise’s intranet proper, they’re accessible from there and thus form part of the network. The target audience is empowered to generate their own content within these ringfenced zones. 6. An intranet with an SII of 6 integrates social media elements such as a discussion forum, blogs and wikis into a single sign-on solution. The user experience is seamless. 7. An intranet with an SII of 7 maintains a bank of user profiles that includes everyone in the organisation and is accessible by anyone in the organisation. The profiles are rich (including photos, contact details and subject matter expertise) and integrate with the other components of the intranet (eg the discussion forum) to facilitate social networking. 8. An intranet with an SII of 8 enables the users to personalise the interface. This typically involves the selection and arrangement of social widgets (eg a particular blog, a discussion sub-forum), a filterable activity stream, plus external functionality such as a customisable RSS feed. 9. An intranet with an SII of 9 empowers anyone in the organisation to publish and edit “regular” informational content beyond the aforementioned social media elements, though still within certain ringfenced zones. For example, a team site may host user-generated content pertinent to that team. 10. An intranet with an SII of 10 is the poster boy of heterarchy. All content is easily publishable and editable by everyone in the organisation. Devoid of ringfences, the platform effectively becomes a giant wiki. The corporate community pitches in to produce and maintain organic knowledge. Outlandish and unworkable, or innovative and game changing? At the very least, I say an SII of 10 is aspirational. From 1 to 10, the Social Intranet Index represents a series of concurrent trends. Most radically, the direction of publishing shifts from one-way to two-way to multi-way. This is typically associated with an increasing ease of use, which in turn encourages an increasing number of content producers. Knowledge contained in silos is increasingly shared, and a broader community blossoms. As governance loosens, the organisation puts more trust in its own employees. Effectively, its hierarchy flattens. As more control is relinquished by the company to its people, however, the risk of something going wrong increases. The content that is generated by the users might be flawed, and in extreme cases an individual might abuse their privileges and do something malicious. On the other side of the coin, though, loose governance does not mean no governance. Sensitive content may still be locked, while an approval process and a reversion facility can prevent disaster. Moreover, it may be argued that the shifting paradigm places an increasing obligation on the SME not only to share their knowledge with the wider organisation, but also to maintain its currency and relevance. Those who can’t or won’t will soon get found out. Clearly, a “social intranet” is not just about the technology; it’s about the culture of the organisation. Just because sophisticated functionality is available does not necessarily mean it will be used! Notwithstanding this truism, I submit that culturally speaking, an SII of 1 is poles apart from an SII of 10. The former is characteristic of a restrictive, distrustful, clunky organisation, while the latter is characteristic of an open, empowering, nimble one. Which organisation do you think will be more collaborative? Which one is more adaptable to change? Which one will ultimately perform better in the market? 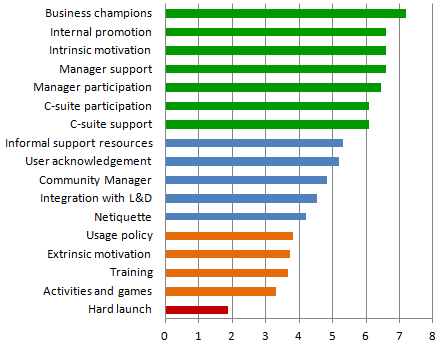 Closer to home, what is the SII of your organisation’s intranet…? So the Russians want to build a research base on the moon, and they want NASA and the European Space Agency to help them. Anyone who has read Off The Planet by Jerry Linenger knows that this idea has about as much chance of getting up as Vladimir Putin has of winning American Idol. Linenger knows better than most: he spent 5 months on Mir. Despite the years of training and the millions of dollars poured into the program, he and his two cosmonaut colleagues had to rely on their collective ingenuity, tenacity and sheer luck to remain alive. Endangered on a daily basis by the incompetence of the Russian Federal Space Agency and the political expediency of the US Government, he was caught between a rock and a hard place – while floating between the third rock and outer space. My only saviour was oftentimes an outdated, hand-drawn engineering diagram hanging in the classroom beside the instructor’s blackboard … During many of my one-on-one lectures, I would block out entirely what the instructor was saying and memorize the diagram hanging on the wall. The diagrams themselves were outdated — showing only the original configuration of the Mir and not the myriad modifications made over the eleven-year lifespan of the station — but so were the lectures. Most of the instructors looked as if they had been teaching the subjects since the time of Yuri Gagarin. They had not kept abreast of the changes on Mir. Furthermore I had the impression that my understanding the material presented was almost irrelevant to the lecturer. What was important was that they got through the canned lecture word for word, just as they had for the past ten years. What struck me as different about the training sessions, as compared to all the schooling I had ever received, was the lack of written materials or handouts. All of the material was presented orally … instructors realized that their job security, to a large extent, hinged on their knowledge of a system or component of the space station. Write the information down and their corner of the market would be lost. 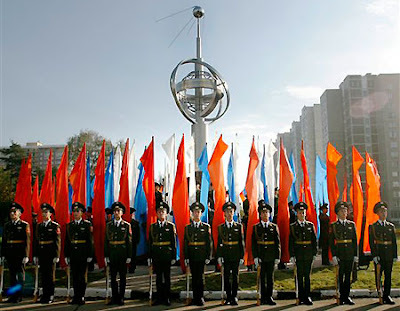 After hearing pleas for assistance from every astronaut training in Star City, NASA shuttle-Mir program managers finally sent over American trainers to help produce some translated, written materials … The Russians were uniformly uncooperative … The goal of helping cosmonauts and astronauts better prepare for a mission was not a shared goal. The Russians were being paid to train the American astronauts. Each minute of training was paid for. If written materials — clear, understandable, and readable — were made available, we would eventually require less instructor time. Less time, less money. The Russians finally agreed to at least explore the possibility of making training manuals, but insisted that they be paid handsomely for their “vast knowledge and experience”. Linenger goes on to describe the continuing obstructiveness of the Russian administrators, their exorbitant fees to accommodate minor requests, his interrogation-style exams, the futility of his complaints, his frustration over the lack of change, and how the astronauts on a subsequent mission threatened to leave Space City en mass. If you haven’t read Off The Planet, I highly recommend you do so. Furthermore, I challenge you to apply Linenger’s experiences to your own working environment, and to consider how you can effect positive change. * To be read as per Tallulah Bankhead in Hitchcock’s Lifeboat. As we near another Christmas, I thought this cartoon was timely. Social media: It’s not about the technology! As an enterprise, Acme Corporation is “dipping its toes” into social media. It might be said it’s adopting a cautious, almost experimental approach to the concept. While the organisation has invested in social technology, and maybe even documented a social media policy, the majority of its social media activity is driven from the bottom up. In other words, usage of social media within the organisation relies heavily on grass-roots support and viral marketing among its rank-and-file employees. Does this sound like your workplace? If so, what does it mean? In a nutshell, it means you still have plenty of scope to increase your social media activity and realise the corresponding benefits of collaboration, engagement and informal learning. So what does your organisation need to do to take social media to the next level? To help answer this question, I’ve decided to share 10 insights about workplace social media from a practising learning & development professional in the corporate sector (ie yours truly). Disclaimer: These insights are not the result of any scientific analysis. Instead, they are the result of observation, conversation, experience, gut instinct, self-important opinion, and general naivety. 1. Field Of Dreams was just a movie. Just because you build it, doesn’t necessarily mean they will come. 2. Some of your employees will take to social media like ducks to water. They will be the local champions who celebrate the concept of social media, participate avidly, and engage in true collaboration. 3. Some of your employees are not team players. Sure, they know the right words to say, and the bare minimum to be seen to be doing, but that’s about as far as it goes. You will never force these people to collaborate. Sorry. 4. Not everyone who shies away from social media is a lone wolf. The question you need to ask yourself is: How many of these reasons are legitimate (which means they can be addressed), and how many are excuses that mask deeper problems? 5. A grass-roots, bottom-up approach will only get you so far. While plenty of organisations have invested in social technology, and some have even documented social media policies, most corporate social media activity appears to be driven from the bottom up. To achieve the critical mass of users and ongoing participation rate required for ROI, you need to adopt a complementary top-down approach. The sustained support of — and participation by — senior executives is essential. They must lead by example. 6. The fear of overstepping your authority is a natural inhibitor. The company should state explicitly what its employees can and can’t do on both internal and external social media, preferably via a formal policy. Otherwise many employees will err on the side of caution, which may mean refusing to participate. 7. A decentralised model of implementation may not be effective. If the managers in your workplace don’t implement social media on their own accord, you might need to change the structure and processes of your organisation to make it happen. Specifically, someone needs to own it. This may mean appointing a Social Media Manager to centralise the authority, engage with the right people, and drive real outcomes. The Social Media Manager will need to exhibit that rare combination of determination and creativity to overcome the multitude of reasons why it can’t work, and instead focus on how it can. 8. Banning social media is a double-edged sword. If you block access to social media frivolity, you also block access to useful resources. Of course, personal mobile devices can circumvent the company’s access policy anyway. 9. Self-regulation can be effective. That’s not to say that no one will ever abuse their privileges, but again, a good social media policy will define the boundaries of acceptable behaviour. Most people will follow suit. 10. No one else cares. If your organisation doesn’t embrace social media, the Earth will still turn without you. If your employees don’t want to collaborate, participate and learn, that’s your problem. In summary, the potential of social media is not about the technology. It’s about culture. To maximise the value of the available tools and platforms, your employees must want to be collaborative; your managers must want to try something new to achieve greater success; your company must be proactive. If this doesn’t sound like your culture, your competitors won’t mind at all.